Bringing together the art and science of financial services. Where we have been informs the way we serve clients today. Since 1974, Century Management has offered personal wealth management services to our clients, as well as serving the investment needs of institutions. Our longstanding experience is our guide. In 1968, Arnold Van Den Berg began his investment career as the U.S. stock market was experiencing its worst decline since the Great Depression. Arnold spent these difficult years studying Wall Street, the market, and various investment philosophies. He concluded that the managers who used a value-based investment strategy both protected their clients' capital better and provided more consistent investment results than managers using other investment strategies. In September of 1974, Arnold started his own investment advisory business based on a value-investing approach. This investment philosophy not only had a history of producing sound results but also was consistent with how he lived his personal life. From humble beginnings, Arnold Van Den Berg, a Holocaust survivor, learned at an early age what it means to work hard, to sacrifice, and to help others. It is his spirit of helping that has shaped the way he has lived his life and runs the business. Each individual who has joined Century Management shares Arnold’s values and passion to truly help others reach their goals. It is what has defined our success. Our process seeks to uncover value in investment selections. Our Research Analysts, Portfolio Managers, and Financial Advisors are highly experienced, credentialed and have an unwavering commitment to deliver uniquely personal service. We invest our money in the same investments recommended to our clients. 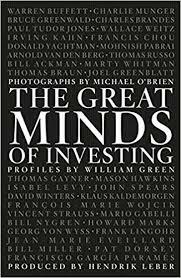 Arnold Van Den Berg is featured in the book The Great Minds of Investing, alongside investors like Warren Buffett and Charlie Munger. Century Management applied for consideration, having met a minimum set of criteria. Applicants were then graded on six factors: assets under management (AUM); AUM growth rate: years in existence; advanced industry credentials of the firm's advisers; online accessibility; and compliance records. There are no fees or other considerations required of RIAs that apply for the FT300. The final FT 300 have been in existence for an average of 24 years and manage an average $2.7 billion in assets. The FT 300 TOP RIAs hail from 37 states and Washington, D.C. The Financial Times Top 300 list is not indicative of future performance. Individual account experience may vary. 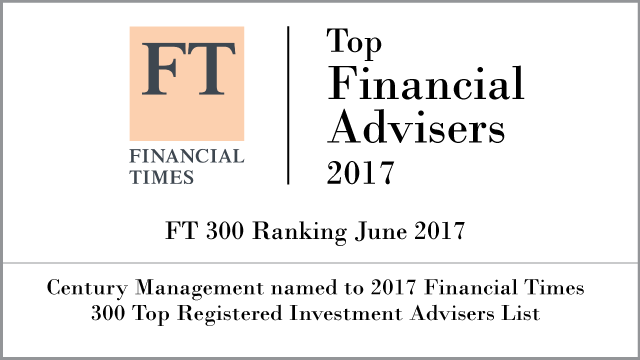 The Financial Times Top 300 Registered Investment Advisors is an independent listing produced by the Financial Times (June 2017).